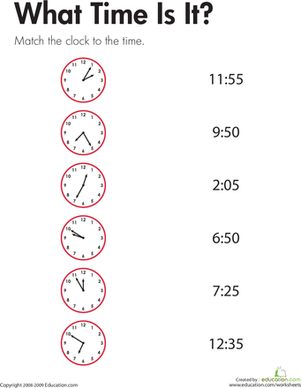 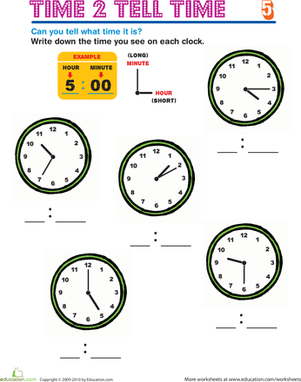 Use these blank clock faces to have students figure out how much time has gone by, or elapsed, from the start time to the end time. 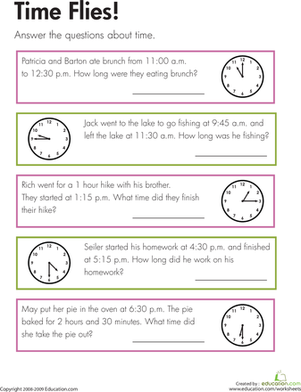 Second graders practice telling time and reading the calendar, and test their skills with problems on elapsed time. 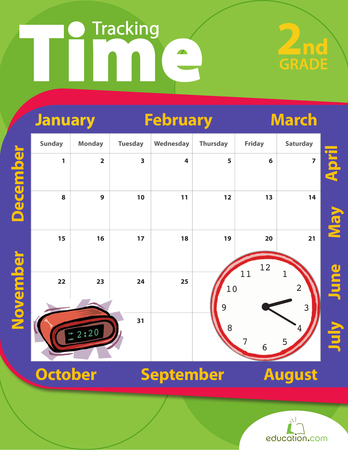 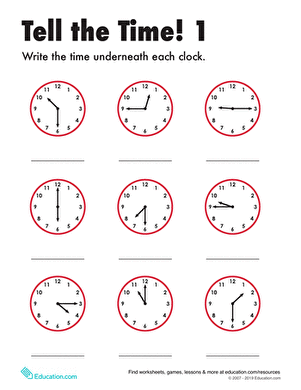 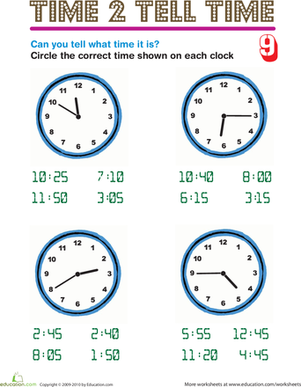 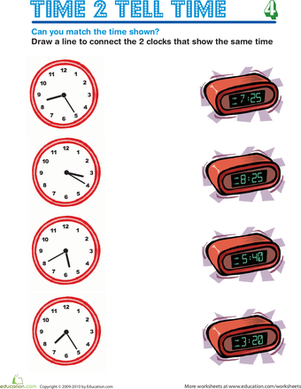 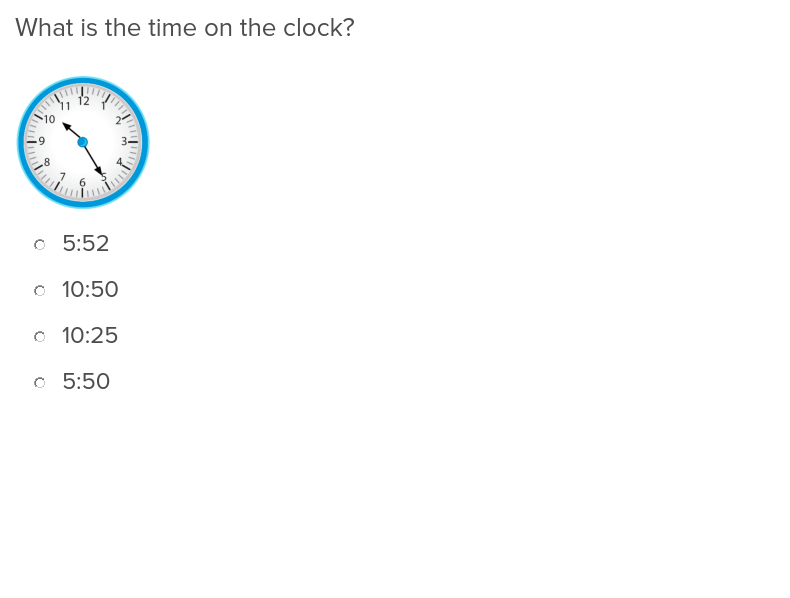 For this second grade math worksheet, kids look at each analog clock, determine the time, and draw a line to connect the clock with the digital time. 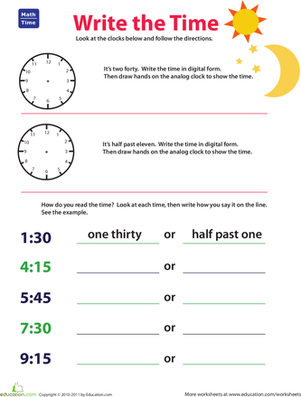 Your child may be able to read a clock, but what about the passage of time? 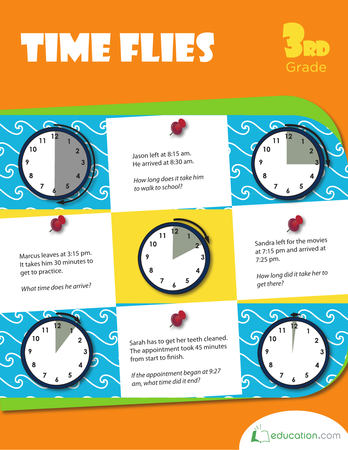 This workbook is all about elapsed time, and how to both estimate and calculate how much time has passed in between hours.